A new article from Joseph M. Carbonara, Editor in Chief of Food Service Equipment & Supply magazine, revealed in a very telling article the latest trends in the kitchens of our industry as well as some ideas you may want to consider before making your next purchases. Our qualified staff here at Main Auction is here to assist you in consulting with your business both in the selections of foodservice equipment and in the new designs of your current kitchen to meet your changing food service needs. We think this article is a great read and may give you some great ideas for your future restaurant success. The first focus mentioned by Joseph is flexibility. Both in menu construction and equipment use has become the name of the game for today’s kitchens. Main Auction agrees and believes that it will undoubtedly ring true for many years to come. One of the most important factors that lend credibility here is the fact that whatever you purchase, the new design of that kitchen must stand the test of time. Lean footprints, sustainable foodservice practices, and the every changing needs of your consumer demographic will all make the future a bright one if you keep on your toes. Purchasing used equipment can be a very real consideration when you consider your next kitchen purchases. According to Joseph's article, customer demographics dictate the needs of the kitchen. James-Madison-Kitchen The East Campus Dining Hall, also known as Dolly’s, is the first LEED building on James Madison’s campus. Designed by Ricca Newmark, the servery features seven interactive food stations with bar stools, where students can watch chefs prepare their fresh meals. The international station rotates cuisines daily, offering a variety of options, such as Thai, Mexican, or even Indian food cooked in a traditional Tandoori oven. The new cooking equipment has allowed for 85 percent of the food to be made from scratch, according to Schroeder. Photo Courtesy of Ricca Newmark DesignCommercial kitchens have long been among the most highly engineered portions of any building. While changes to this space over the past 30 years have seemingly been gradual, it now appears that a number of converging factors will profoundly impact the design of commercial kitchens moving forward. Changes in eating habits, generational shifts, a shrinking back of the house, an increased focus on sustainable foodservice practices and an ever-growing list of other factors are facing designers and operators as they specify foodservice equipment and design kitchens that can withstand the tests of time. Please note here that in the above description the net result is that flexibility in menu construction and equipment selection and placement will go hand in hand in a kitchen designed to maximize efficiency. While your restaurant or food service experience may be different, look to the underlying constants that may apply to their success here. Being able to move equipment around and change current menu items means overall design and proper restaurant equipment will have a direct correlation with the equipment you decide to select for your next purchases. Having that ability to change menus really connects with where the millennials are headed. You don't have to offer them everything, but what you do offer them has to be delicious, pleasing to the eye, and varied to keep them coming back. Unless you are a café style, or family service venue, it is possible that at some point you could consider smaller plates and, eventually, smaller kitchens, restaurants and foodservice environments." Featuring different approaches could be considered in a bar area, or a special room set up for those types of services. Menu and eating habits are also up for consideration as you move into 2013 for your new food service equipment purchases and menu selections. Hospitality moguls like A.J. Barker tell us that people want to recognize their food. If it’s broccoli, it should look like broccoli. But even more important it should taste wonderful and prepared to perfection. Quality is everything, so proper preparation will be critical to achieve this goal. Another worthy goal of your next purchases should be preparation of healthy foods. 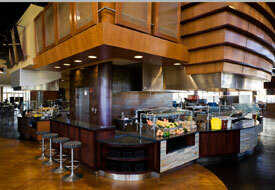 Quality foods continue to impact foodservice design and equipment selection. Even food preparation areas are changing because of sustainability and the farm-to-fork movement. It will be the fresh ingredients you purchase which will drive your demographic and the size of your prep area. With allocation of more space for vegetable washing and prep but less square footage for cooking, your kitchen will run more efficiently and force you to balance priorities between freezers and refrigerators. New combi ovens are designed to simplify this transition and helps to get you more flexibility in the kitchen by increasing capacity out of the same footprint. Main Auction Services is here to provide you with the ability to be flexable in meeting the demands your current demographic you are hoping to draw for a pleasant dining experience. We believe that it is the all-around practice of making sure you can deliver on every front that will help you be a success in your neighborhood, restaurant location, school or institution. Let Main Auction Services help you prepare for the new dining experience and help you to design and plan for purchases that will ensure your success. 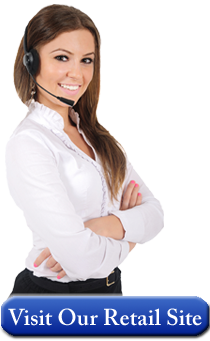 Give us a call right now, a qualified member of our staff is waiting 972-642-0513 in Grand Prairie, or 713-690-1231 in Houston.